Poster produced during the Second World War. 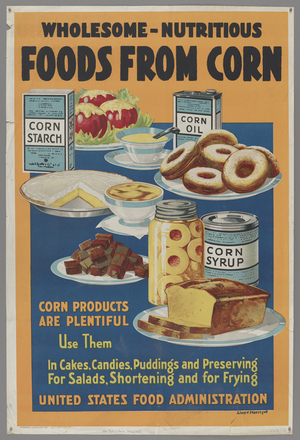 Message encouraging people (Americans) to consume corn food products as they are "plentiful". Features colour illustrations of various foods containing corn.